Our 1st oil powered permanent haircolor with no ammonia for brilliant color and visibly healthier hair. The oil powered technology propels colorants deep into the hair, without ammonia, giving you pure, vivid, long-lasting color. Olia visibly improves and restores hair as the oils help to reverse roughness and dullness for more brilliant, long-lasting color. Hair is Hydrated, Silky and up to 3X Shinier than unwashed, uncolored hair. Unlike traditional haircolor, Olia uses an exclusive 60% oil blend with natural flower oils to achieve brilliant, radiant color results. The unique non-drip velvet cream formula propels colorants into the hair--without ammonia--with a pleasant sensorial fragrance. Is this shade right for me? 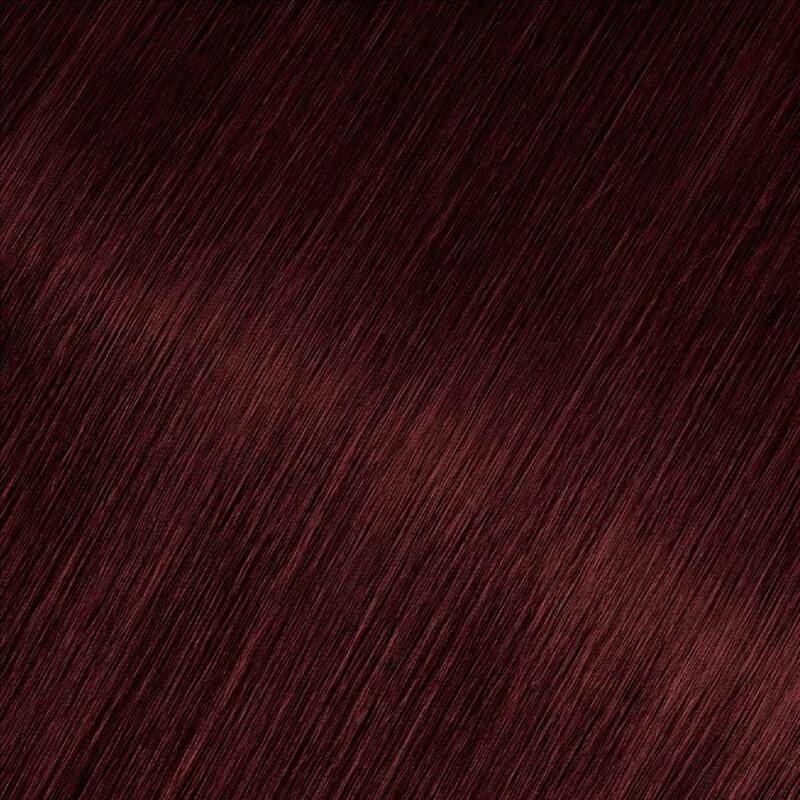 Garnier Olia shade 3.60, “Darkest Red Rose,” is a shade full of deep, intense red reflects. It provides up to 100% gray coverage. The color will be more vibrant on grays. Shade 3.60 is best for anyone with natural, uncolored hair between Light Brown and Black. For other deep red shades, try 4.60, “Dark Intense Auburn” or 4.52, “Dark Garnet Red.” If you would like to remain in the darkest brown range but would like to explore other reflects and tones, try shade 3.0, “Darkest Natural Brown” or 3.11 “Dark Platinum Brown” for an ashy reflect. *For women with currently color treated hair, there are special considerations for the color result you can achieve. This shade is not recommended for hair that has been colored Darkest Brown or darker, is bleached or is highlighted. For more help, use our Virtual Shade Selector Tool to find and try-on the perfect shade for you! Olia transforms coloring your hair into a new sensorial experience. Because Olia is ammonia-free, it won't irritate your scalp and there is no harsh ammonia smell. Instead, Olia has a delicate floral scent. And, its non-drip, velvety cream texture helps provide optimal comfort during application. 1) Always do a skin test 48 hours before. 2) Apply to dry, unwashed hair. 3) Apply gloves, snap off tip and remove the cap of the Developer Bottle and add Colorant. 4) Shake the bottle vigorously to mix. 5) Start applying color at the roots, then away from roots to the tips. 6) Extend color through to the ends and massage into hair. 7) Leave formula on for 30 minutes. 8) Massage hair thoroughly before rinsing to optimize rinsing process. 9) Rinse hair thoroughly until water runs clear. 10) Apply conditioner after color and leave on for two minutes, then rinse thoroughly. With zero ammonia, Olia has a pleasant, floral fragrance as you apply. Olia's velvety, non-drip formula is made up of a 60% oil blend with natural flower oils from Sunflower, Meadowfoam, Passion Flower, and Camellia to help reverse roughness and dullness, leaving hair more hydrated, silky soft, and shinier. 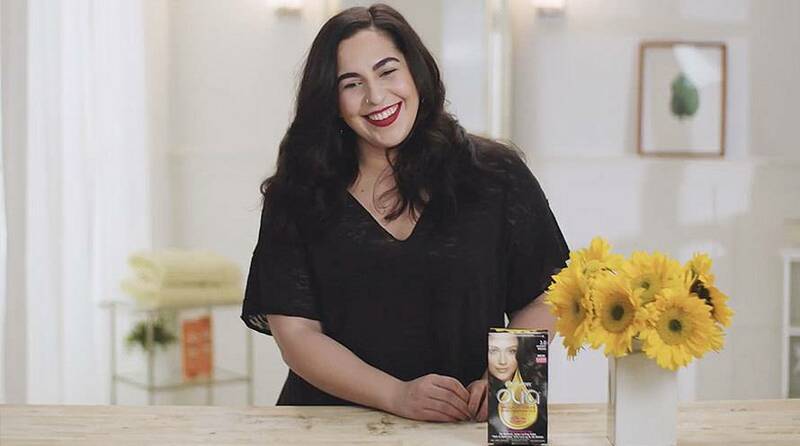 Watch Eman transform her color with Olia. Why do i have oily skin all of a sudden? Rated 1 out of 5 by CoCo_03 from Garnier This hair dye DID NOT work. My natural hair color is black. I followed all the instructions on the information pamphlet and my hair is still BLACK. The only reason why I brought the product because on the box the comparison pictures show that it will show even if your hair color is black. I am very disappointed. This is my 3rd time using Garnier‘s hair dye and each time I went with a light color and each time I end up with the exact color that I started with on my head. BLACK! Rated 4 out of 5 by andriap1 from I like Garnier olive oil powered permanent color but I'm super picky about my hair color and my natural hair color is jet black so there isn't much that actually turns out as expected. While it's easy to use the color still fades quicker than I would have hoped. Rated 5 out of 5 by Vicki R from Best Rose Yet Great Color - the closest I have found to my natural (before grey) color - Just love the Olia Darkest Red Rose - but it is nearly impossible to find near me. All the local usual stores do not carry this Bold Shade, not even the beauty supply store. Tried Meijers, Wallmart, VG's, Sally Beaty Supply, Rite Aid, Wallgreens & CVS....where do I stock up on this shade before it is discontinued??? Rated 2 out of 5 by heatherk1996 from Ive just tried the dark rose quartz color after the other rose gold did nothing at all. Unfortunately the results were the same. Subtle is too strong a word. You can only catch a glimpse of the color in bright sunlight. On the plus side, it smelled great and did not cause the damage to@my hIr that some at home colors do. 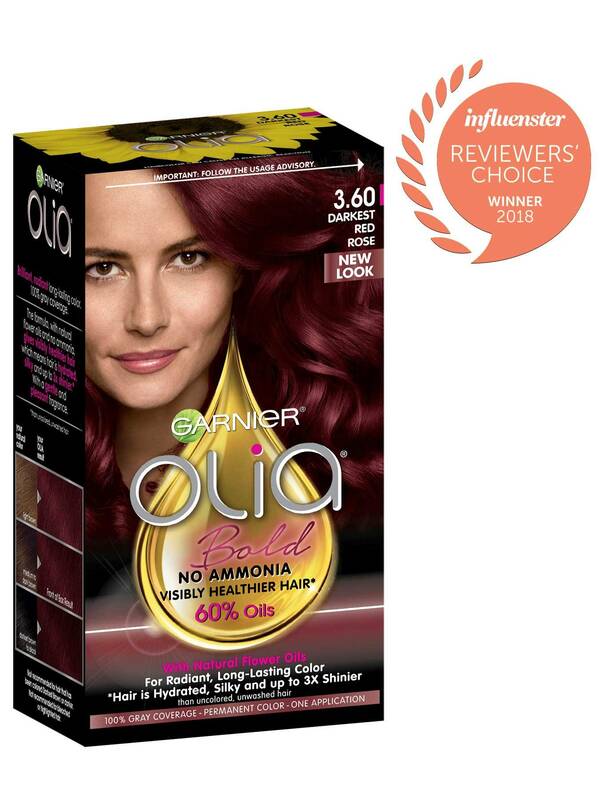 Rated 4 out of 5 by ddazzle from After trying various boxed hair dyed, Olia is the only one that is worth the money! The colors are true to the shade charts and the coverage on grays is fantastic. Your hair looks shiny and healthy afterwards and best of all..there are no unpleasant smells from the solution! When I can't go to my salon, Olia is my go to!